Barcelona cruised into the next round of the Copa Del Rey in Thursday evening, as the Blaugrana beat Levante 3-0 at the Nou Camp. 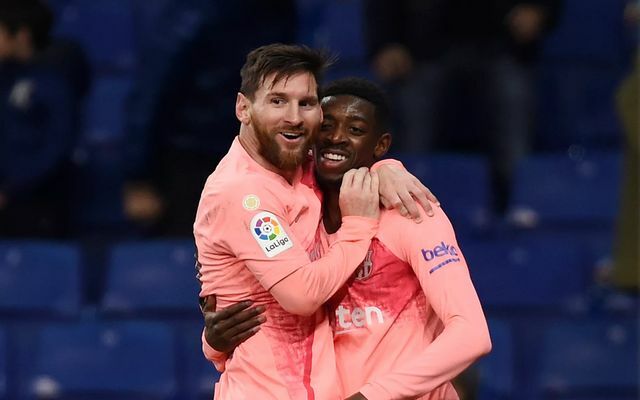 Goals from Ousmane Dembele (x2) and Lionel Messi ended up being enough for Barca, who beat Levante 4-2 on aggregate to qualify for the quarter finals of the competition. Ernesto Valverde’s side will find out who they’re to play in the next round once the draw is completed on Friday, and it seems like Messi has already singled out the team he wants Barca to be drawn with. According to Don Balon, the Argentine wants to see the Spanish giants be drawn with fierce rivals Real Madrid in the next round, something that some fans may find very surprising. 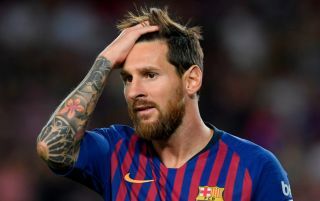 Messi’s want to see Barca drawn with Real may come as a shock to some, as Los Blancos are highly considered as one of the best teams in the world despite their recent patchy form this season. Barcelona are surely going to want to win every trophy possible this season, and having to play Real Madrid, as well as two other teams after that, makes winning the Copa Del Rey seem like a very difficult task. It seems unusual that Messi would want Barcelona to be handed what some would consider the hardest draw possible for the Copa Del Rey quarter finals, however no matter who they draw, Barca definitely have it in them to go all the way and win the trophy for a fifth-consecutive time this term.